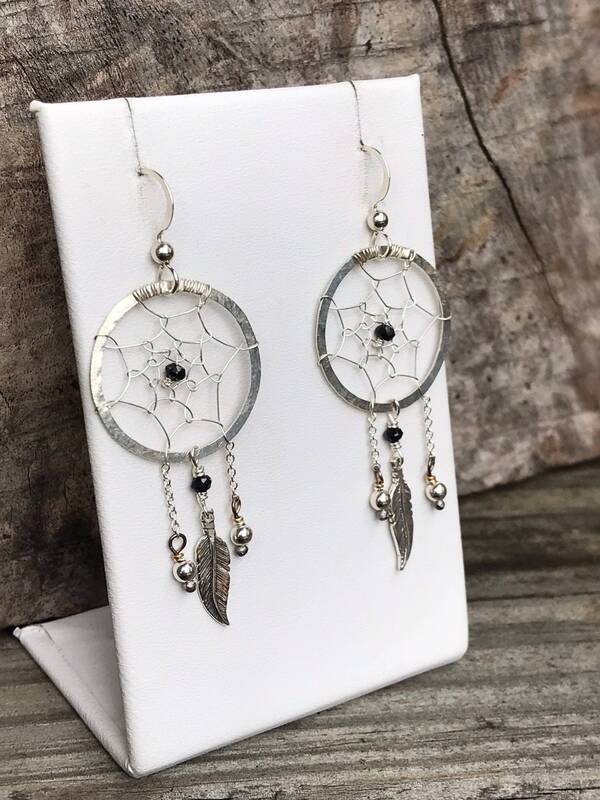 These sterling silver dreamcatcher earrings are carefully and intricately created to make a beautiful and highly detailed statement. 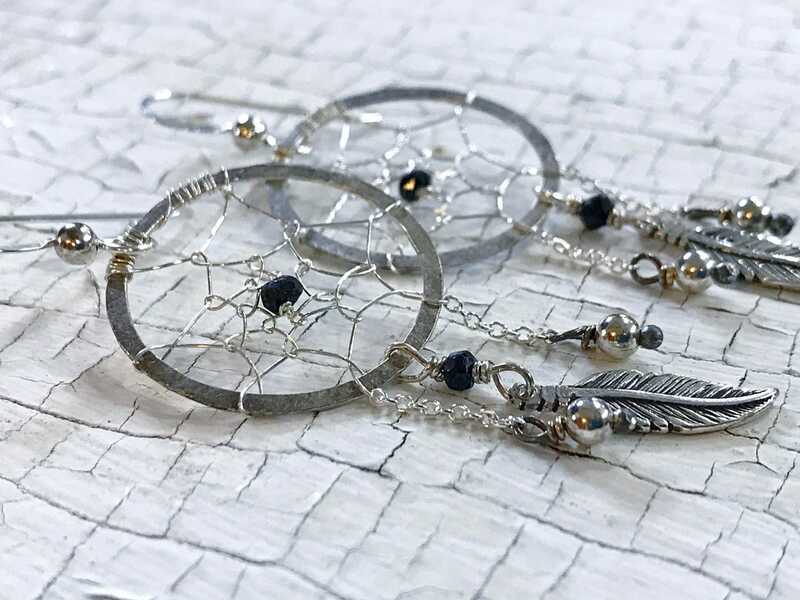 Each dreamcatcher ring is hammer formed with subtle hammered texture, and each one is woven by hand with fine sterling silver wire. 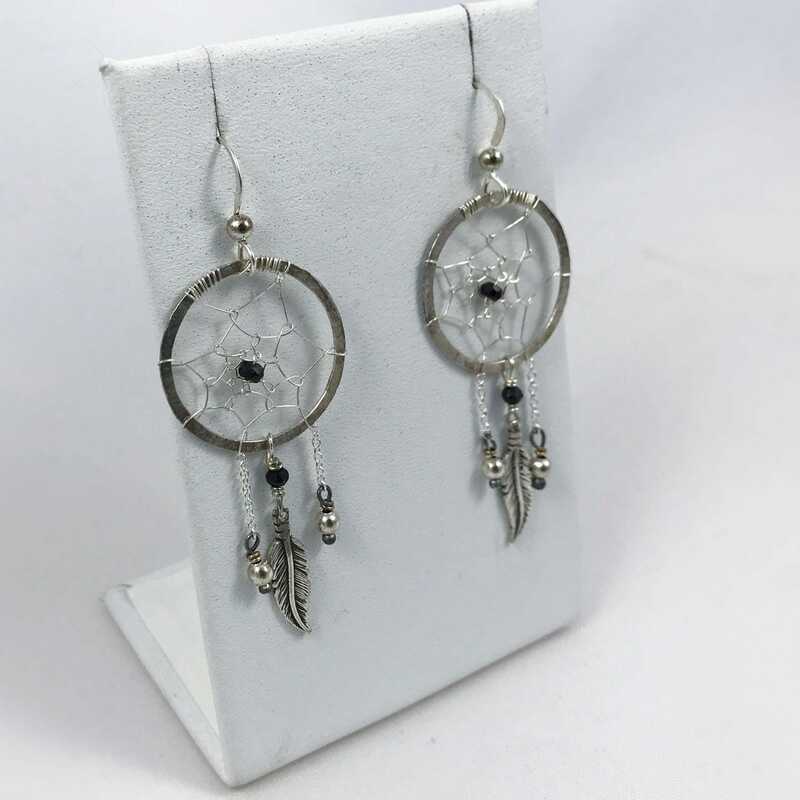 Adorned with faceted black tourmaline stones and sterling silver feather and bead dangle accents. Black tourmaline, also known as schorl, is known as the "Master Protector" of stones and makes for a perfect centerpiece of the design. 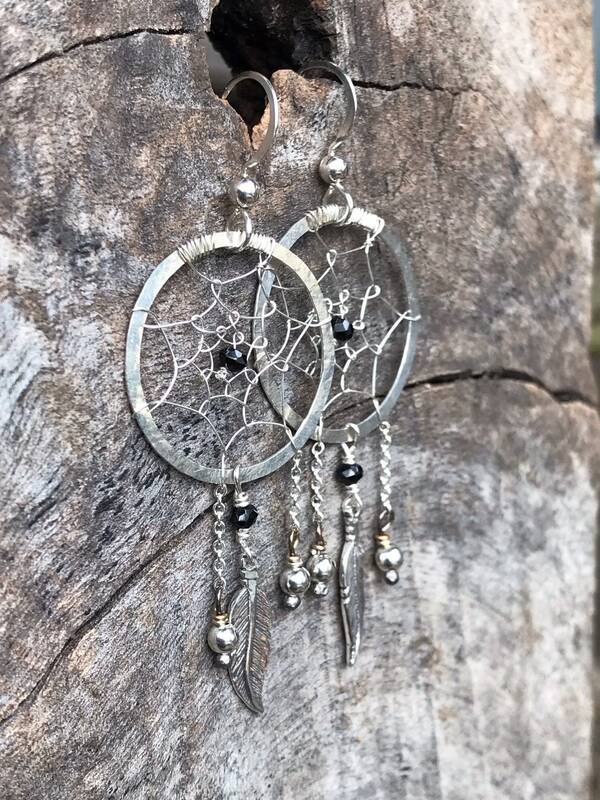 These earrings are made to order and each pair is unique, yours will be created just for you. 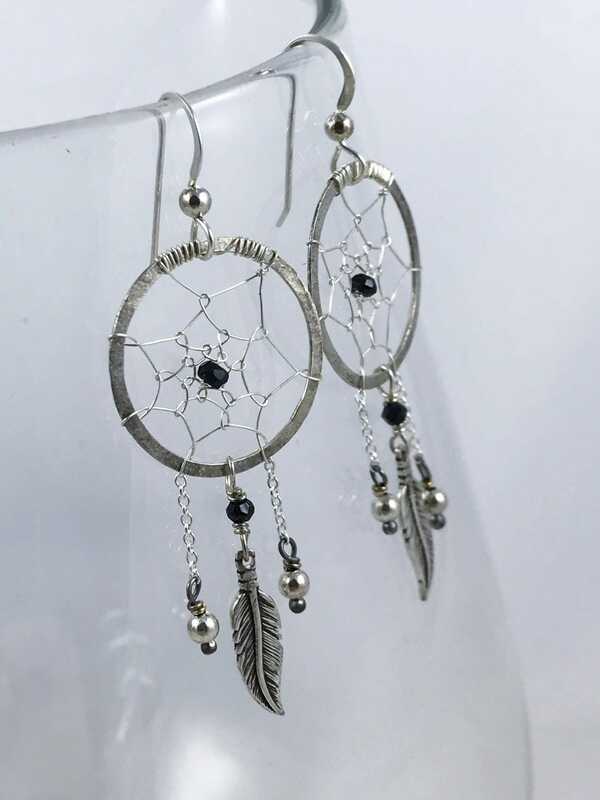 -Dreamcatcher earrings are solid sterling silver and are each hammer formed and woven by hand (please expect slight variations in the weaving). 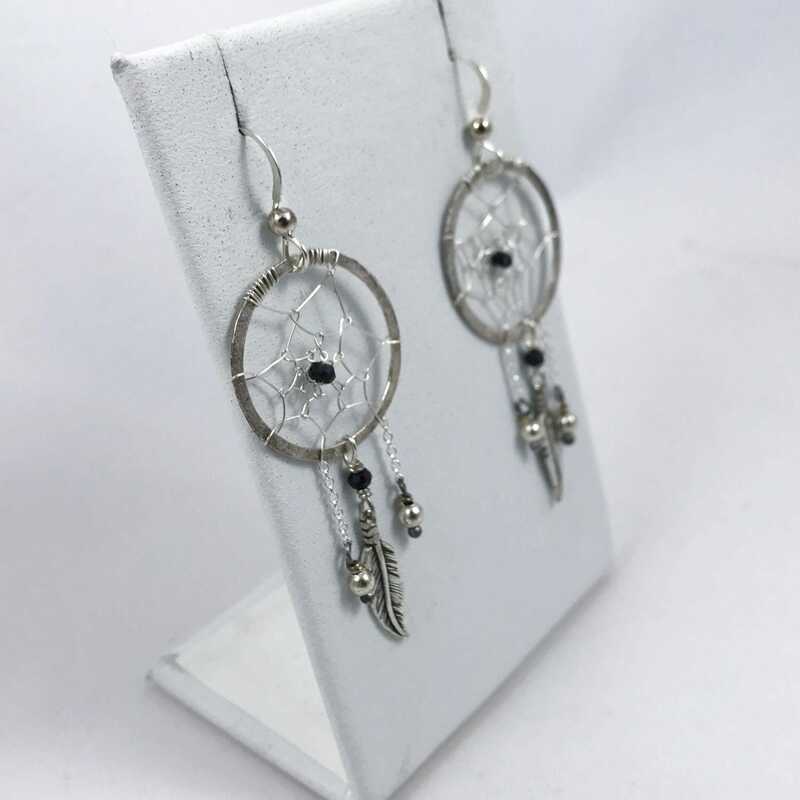 -Earrings feature a 3mm genuine faceted black tourmaline stone at the center. 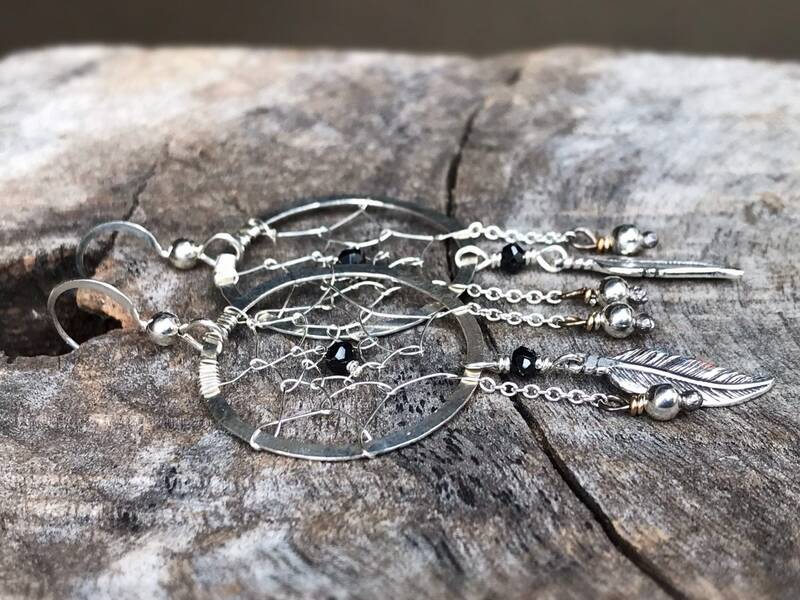 Dangling from the bottom of each are sterling silver feathers with faceted black tourmaline links, and sterling chain and bead dangles. 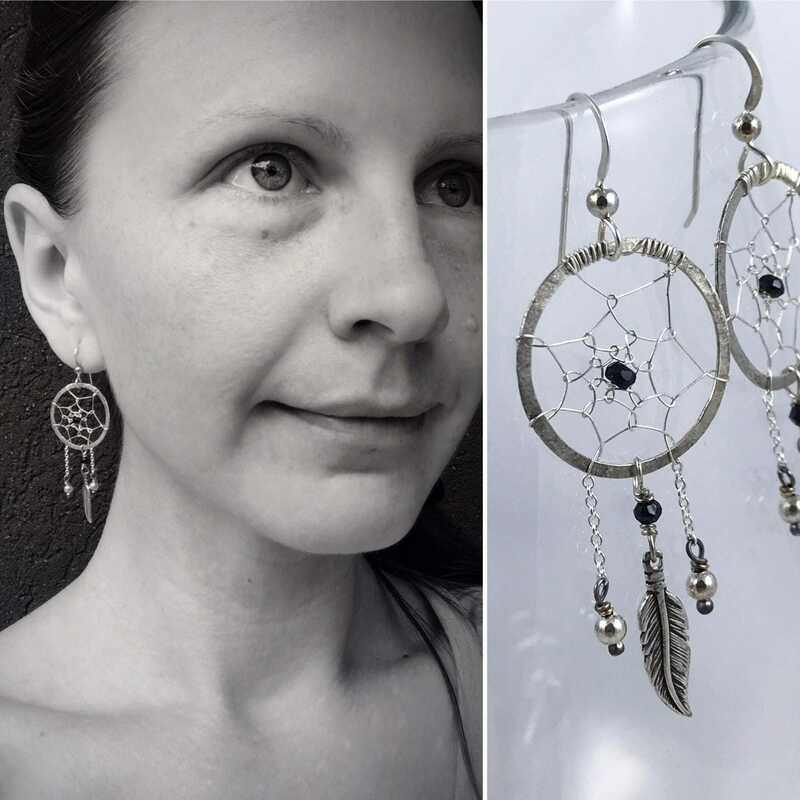 -Total length of earrings from the top of the earring hook to the bottom of the sterling feather is 60mm (2 3/8"). -Drop length of earrings from connecting point at bottom of earring hook to bottom of design is 45mm (1 3/4"). -All of the metal is solid sterling silver including the earring hooks. If you would like a stone other than black tourmaline for your earrings, please message me for other available stone options. Lightweight earrings with gorgeous detail. These are beautifully made, and just as described... thank you!